This BMW X Pickup render looks the business. It’s extremely unlikely that BMW will ever make a pickup truck to join its line-up of luxury sports cars and SUVs, but that hasn’t stopped render artists from envisioning what a BMW pickup could look like, or people building one anyway. This latest render comes from automotive illustrator Shoeb Kalania via Indian Autos Blog, who has designed a BMW mid-size pickup based on the X5. 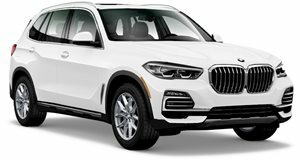 Being based on the X5, it shares similarities with Rain Prisk’s recent BMW pickup render, but this is an altogether more aggressive design. Dubbed the BMW X Pickup, Kalania has added roll-bars, plastic body cladding and larger wheels and tires. It’s a diversion from the luxury image the X5 SUV represents, perhaps, but it looks the business. It’s not out of the realm of possibility, either. BMW has a partnership with Toyota which will spawn the new Supra. BMW will also provide diesel engines to Toyota, so you can imagine a Toyota Hilux-based BMW, just as the Mercedes X-Class pickup is based on a Nissan Navara. However, BMW representatives have denied plans to produce a pickup in the past, despite getting people’s hopes up when it revealed a BMW M3-based pickup which turned out to be a cruel April Fools joke. Other representatives have hinted that BMW will follow market trends, so in theory a BMW pickup could happen if there’s demand for one, but the manufacturer doesn’t have any history with pickups which makes it unlikely. Then again, nobody probably thought Lamborghini would succumb to the SUV bandwagon to meet the market demand.